Our comfort double rooms are located in the main building. Each room has its own balcony as well as small sitting area. Our family rooms are based on our comfort double rooms. In addition, these rooms have either a fixed extra bed of 2 * 0.9 meters or a sofa bed which is also suitable for 2 children up to 12 years. Please specify during the booking process which setup you [...] Small but nice. So you can describe our Black forest single rooms in our side building. Our family rooms are based on our comfort double rooms. In addition, these rooms have either a fixed extra bed of 2 * 0.9 meters or a sofa bed which is also suitable for 2 children up to 12 years. Please specify during the booking process which setup you [...] Small but nice. So you can describe our Black forest single rooms in our side building. 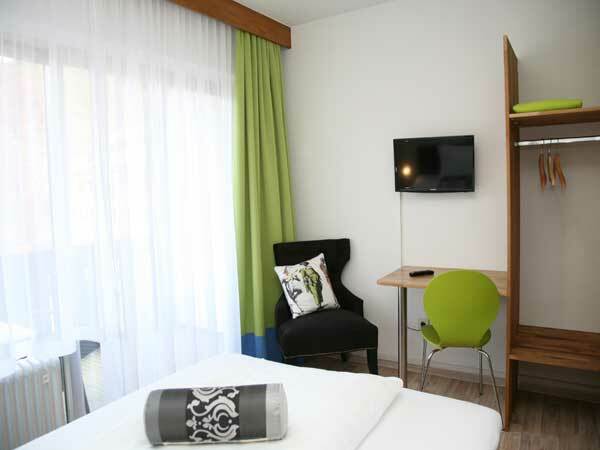 Our Standard double rooms - also called Black forest rooms are located in our side building Christine. These rooms are equipped in a cozy and rustic way and have a small sitting area. All rooms in our side building are equipped with a shower. Small but nice. 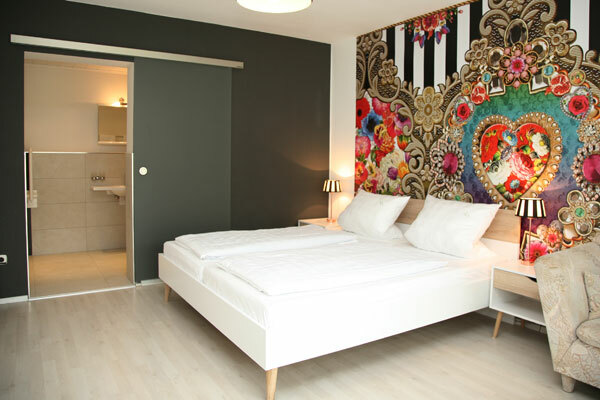 So you can describe our Black forest single rooms in our side building. 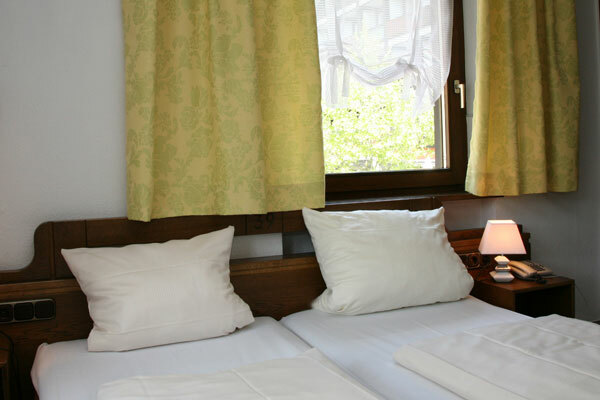 Our Standard double rooms - also called Black forest rooms are located in our side building Christine. These rooms are equipped in a cozy and rustic way and have a small sitting area. All rooms in our side building are equipped with a shower. For an even more relaxed and restful sleep, our business deluxe rooms have a queen bed. Of course these rooms also have their own balcony, as well as a desk for successful work. 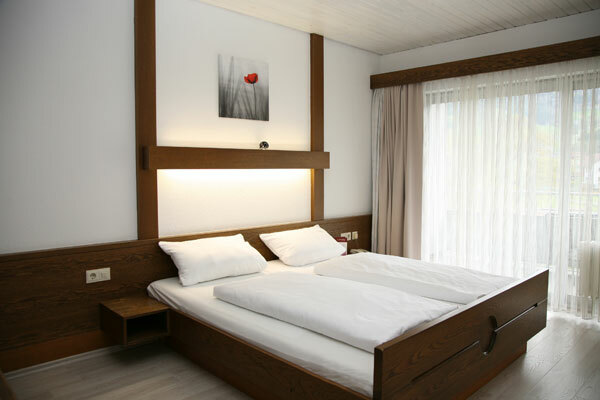 Our Standard double rooms - also called Black forest rooms are located in our side building Christine. These rooms are equipped in a cozy and rustic way and have a small sitting area. All rooms in our side building are equipped with a shower. 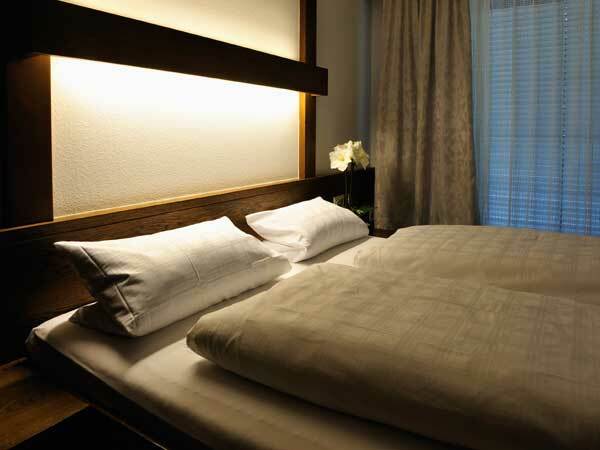 For an even more relaxed and restful sleep, our business deluxe rooms have a queen bed. Of course these rooms also have their own balcony, as well as a desk for successful work. Our business deluxe room offers not only enough space for a relaxing holiday, at the same time it is barrier-free equipped.